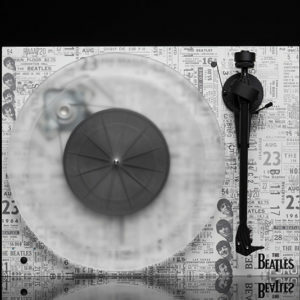 The Beatles 1964 Record Player – A True Collector‘s Item! 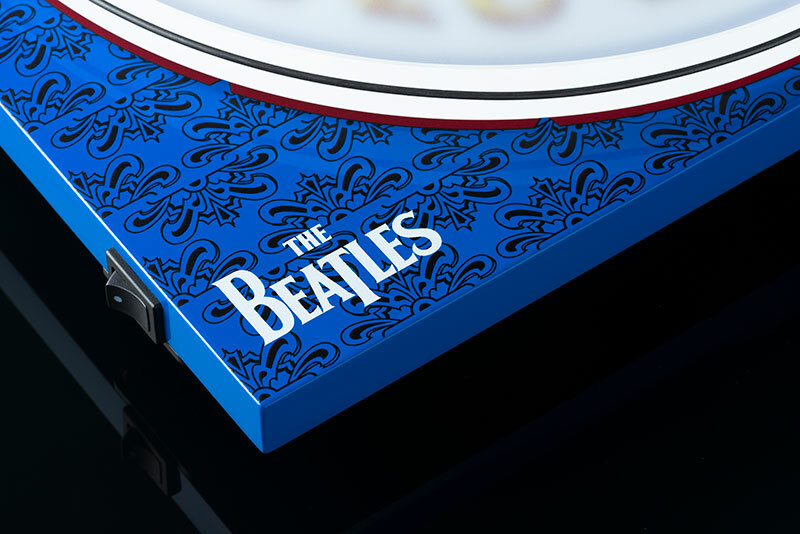 This special collaboration between Pro-Ject Audio Systems and the Universal Music Group features one of the most influential bands of all time, The Beatles! 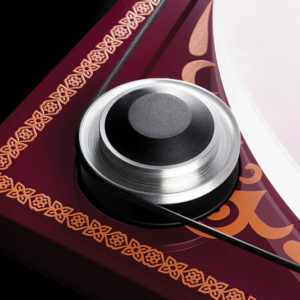 The turntable used is one of the most popular audiophile turntables in the world, the Project Debut Carbon Esprit SB! 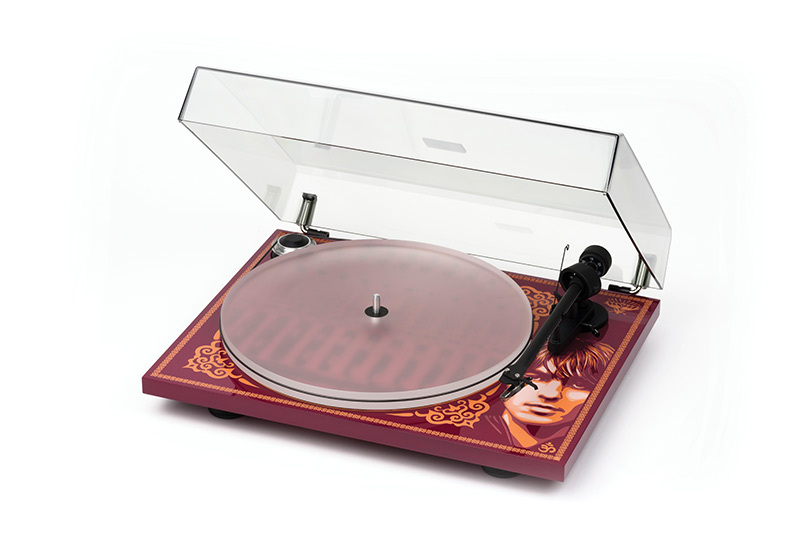 It features high quality audiophile components, including the incredible Ortofon 2M Red cartridge, a precision aluminum pulley, an electronic speed control, a top notch MDF chassis, an acrylic platter with a completely redesigned motor control. 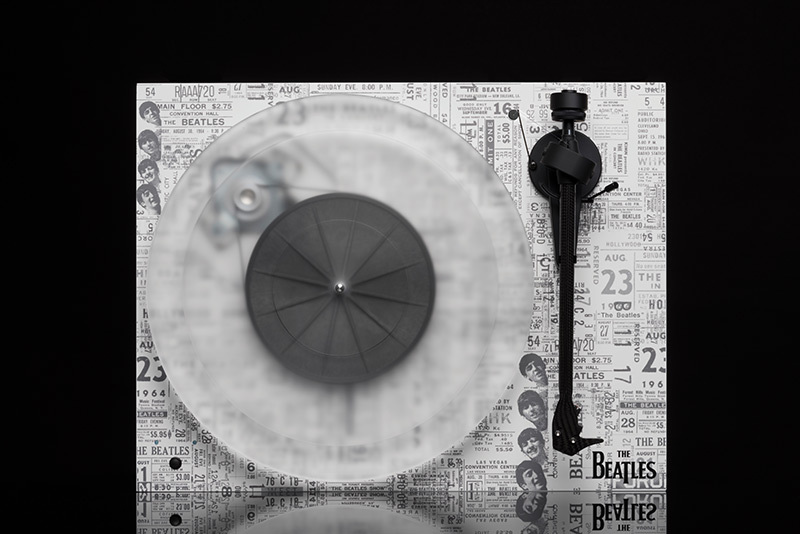 Its sound is both thrilling and relaxing, musical and detailed just like the music from The Beatles, therefore they make the perfect partners in crime. 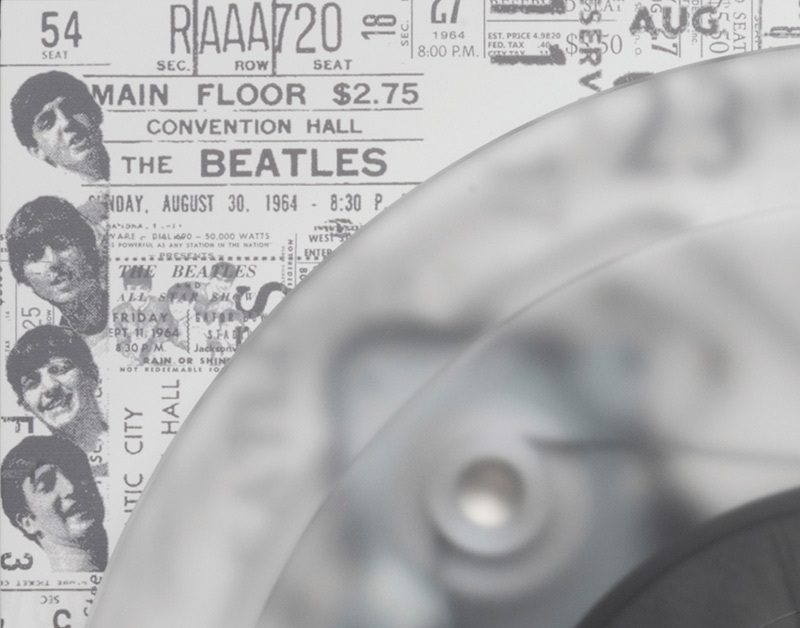 The artwork shows copies of tickets from their legendary world tour in 1964. 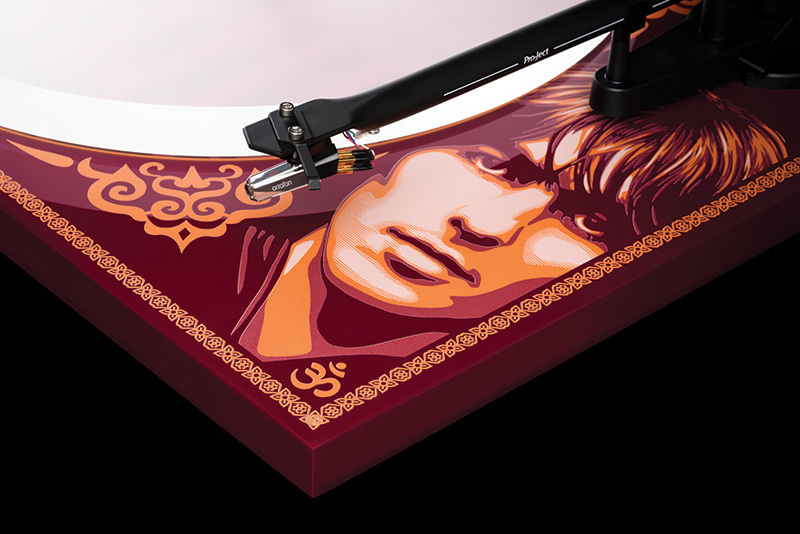 This one of a kind masterpiece is limited to 2500 pieces worldwide. 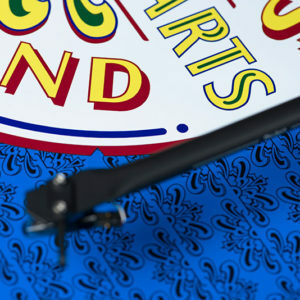 Artwork by respected street artist Shepard Fairey! 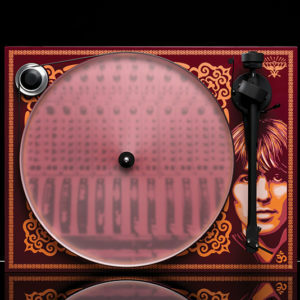 George Harrison Record Player – A True Collector‘s Item! 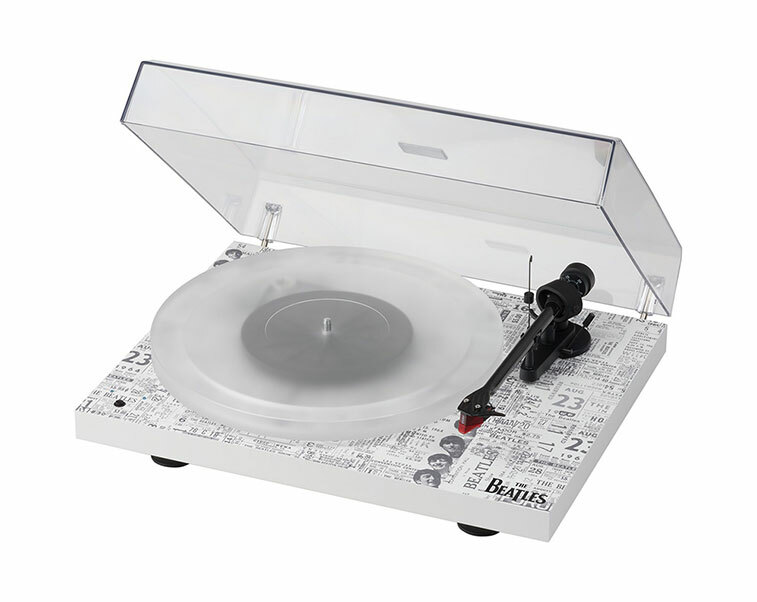 This special collaboration between Pro-Ject Audio systems and the Universal Music Group features one of the most influential artists of our time, former Beatles member George Harrison. 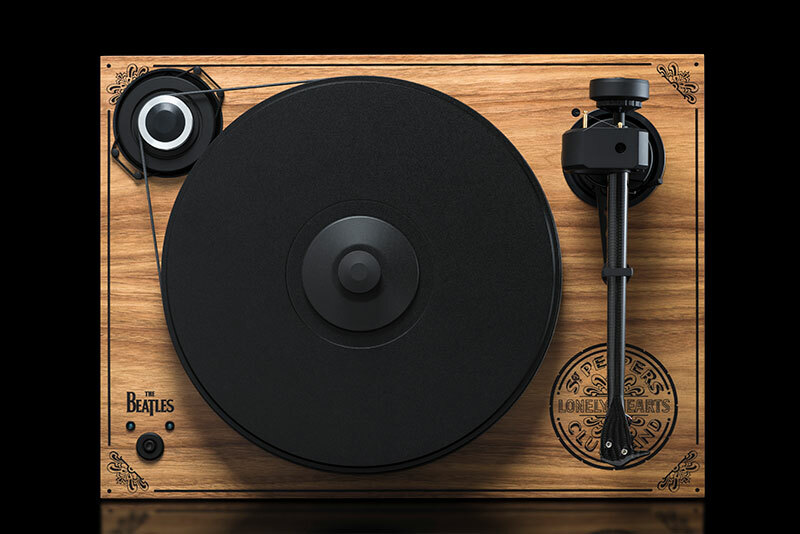 Based on the wildly successful Pro-ject Essential III, this limited edition turntable features a selection of high quality audiophile components you’ve come to expect from the World’s leading turntable manufacturer. 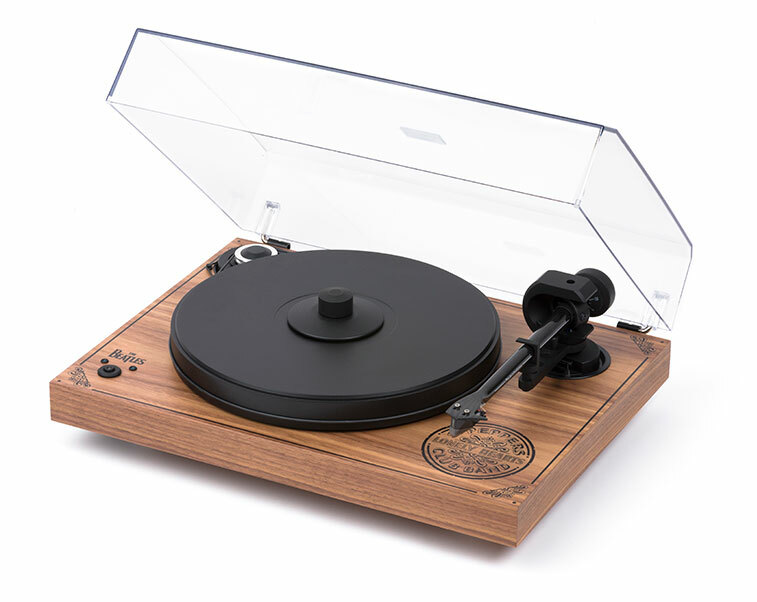 You’ll get superior audiophile level sound from the Ortofon OM10 cartridge, a precision diamond cut aluminum pulley, a super dense MDF chassis and an acrylic platter with a completely redesigned motor control. 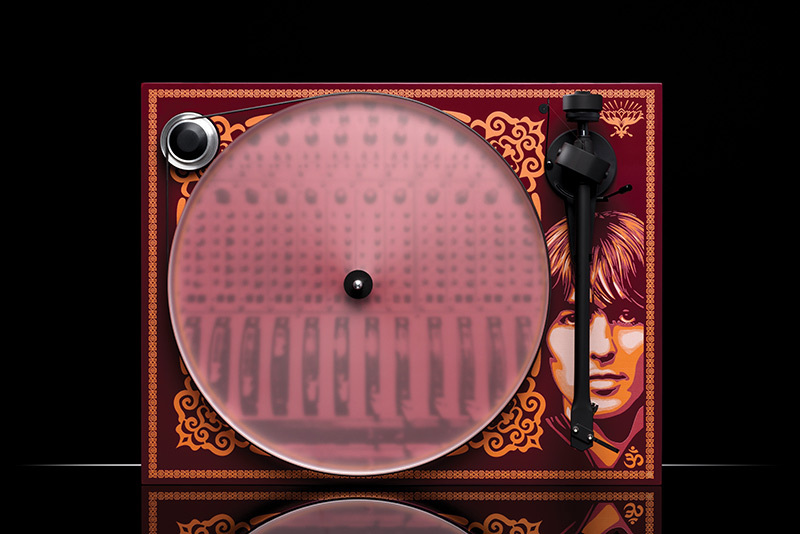 The artwork was designed originally by Shepard Fairey of Studio One fame specially for the Harrison family and features a distinctive portrait of George Harrison graced as well with Indian inspired patterns together with a mixing console for an incredibly unique look. 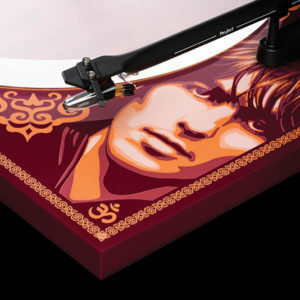 This one of a kind masterpiece is limited to a 2500 pieces worldwide. 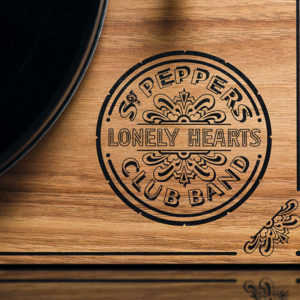 “A splendid time is guaranteed for all” – 2Xperience SB Sergeant Pepper Limited Edition! 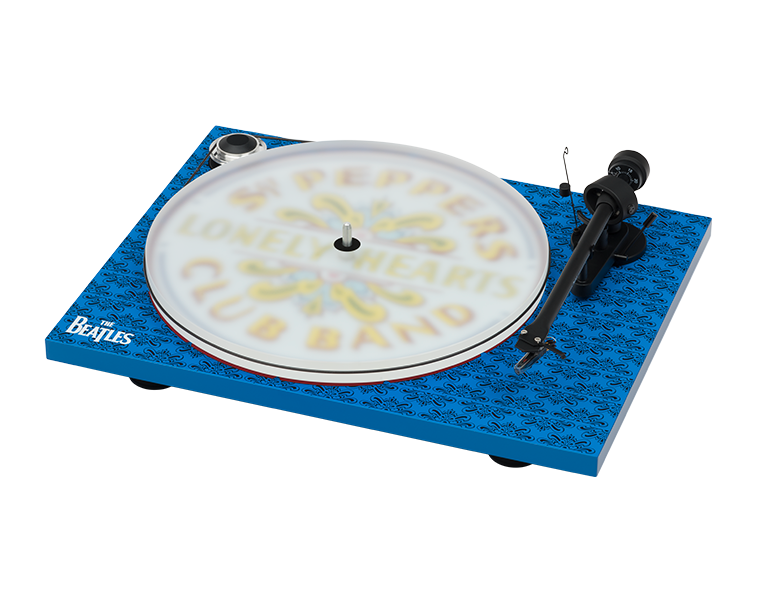 2Xperience SB Sergeant Pepper Limited Edition is number three of a total of six collectors special edition turntables, that represent the cooperation between Pro-Ject Audio Systems and Universal Music Group/The Beatles. 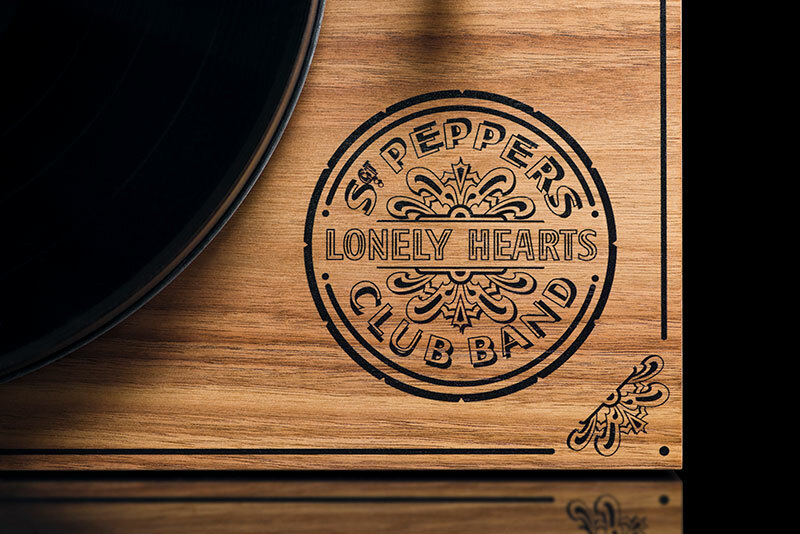 For the 50th anniversary of the extraordinary record “Sergeant Pepper’s Lonely Hearts Club Band”, a total of 1000 pieces of this record player will be produced. 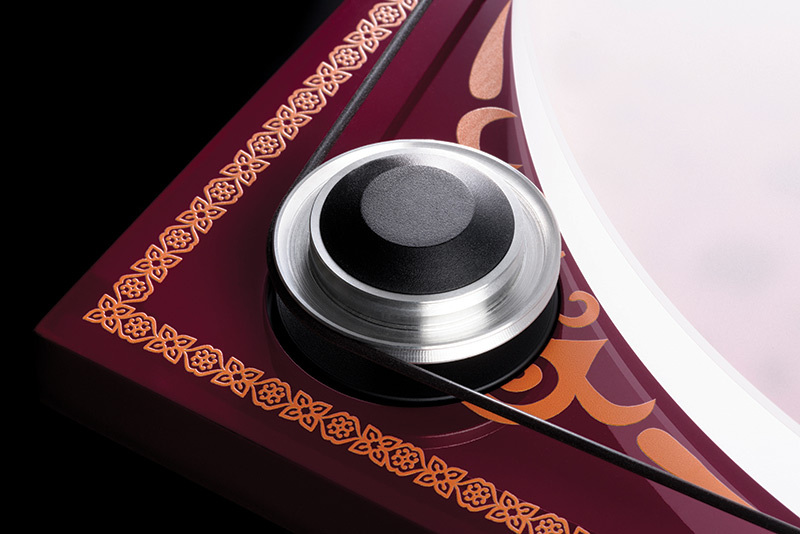 The 2Xperience SB is not only equipped with a high end tonearm, but comes with a pre-fitted Ortofon 2M Silver magnetic cartridge that makes use of silver voice coils. 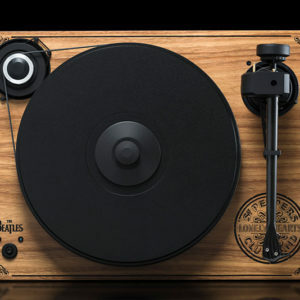 It is a belt-drive turntable with precision motor control (electronic speed change) and a high end 9cc Evolution carbon fiber tonearm. The heavy chassis is made from MDF using a non-resonant construction technique. 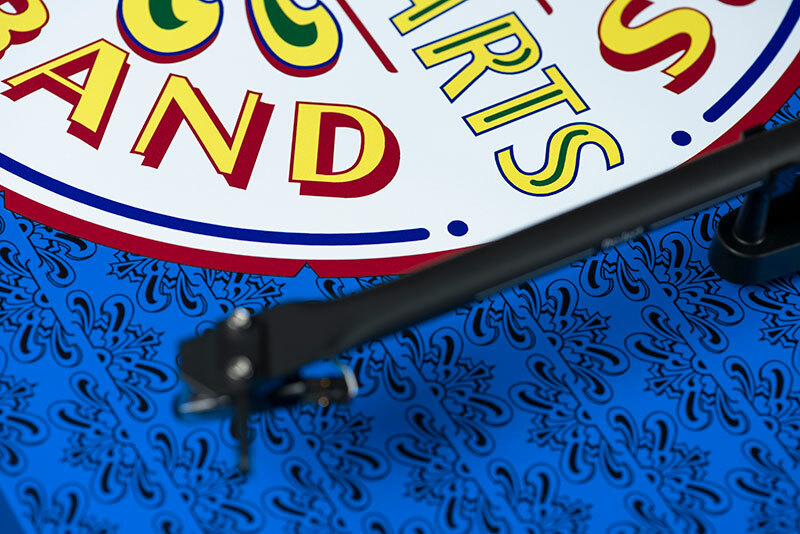 A belt-drive turntable with precision motor control (electronic speed change) and a high end 9cc Evolution carbon fiber tonearm means playback quality is outstanding. 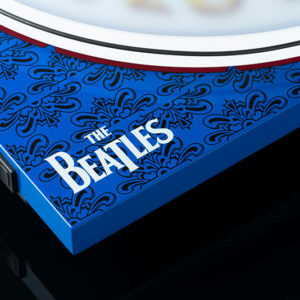 Artwork shows base drum of the famous album! 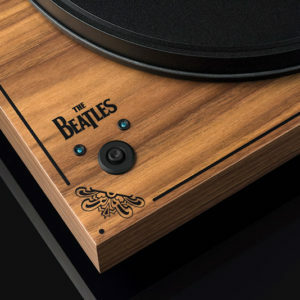 This special edition and collaboration between Pro-Ject Audio Systems and The Beatles has brought out a turntable which was in-spired by the most successful Beatles album ever – “Sergeant Pepper‘s Lonely Hearts Club Band.” The album is known as a milestone of music history in terms of commercial success as well as artistic breakthrough. 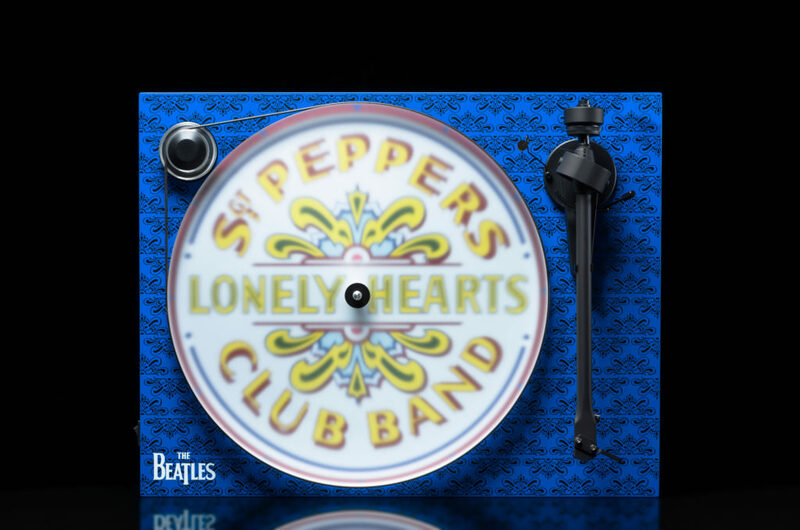 No other album has been produced with such high efforts! 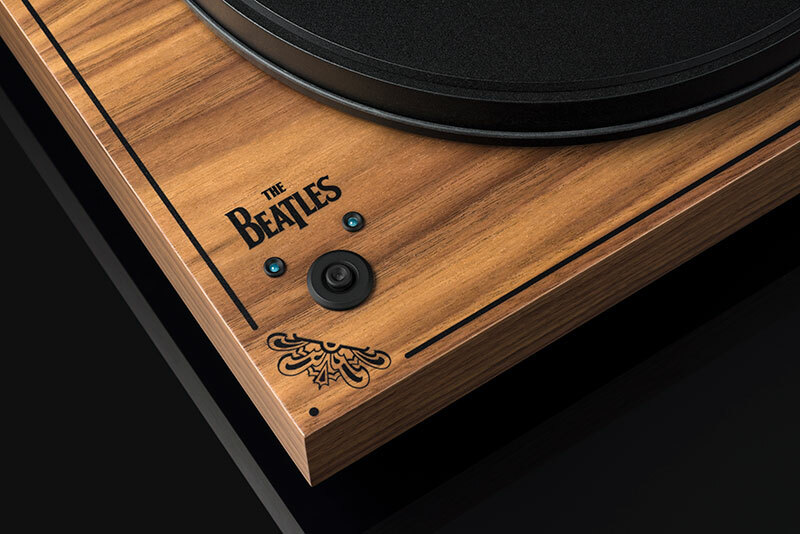 This special edition‘s design of our Essential III turntable shows the base drum of the infamous album. 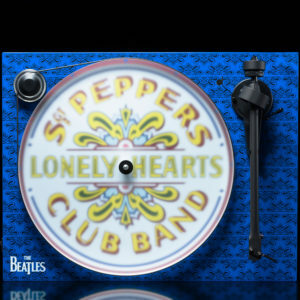 Many myths and theories have been created because of this album and especially because of its cover. 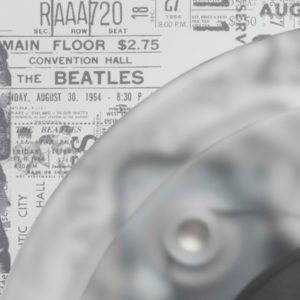 In celebration of the 50th jubilee of this unique masterwork we want to offer all fans of this legendary album the opportunity to give their beloved record an additional place in their living room!